In Sunday’s early afternoon Ukrainian Premier League fixture, Volyn Lutsk managed an injury time equalizer to earn a point at home against Chornomorets Odessa. The match has few implications for the league. Volyn will withdraw UPL next season, and Chornomorets are too far down the table to compete for European spots. Nevertheless, this was a highly anticipated fixture, but the attention was not directed at the players. It was directed instead at Kateryna Monzul who was, for the first time in league history, a woman referee in charge of a match in the top flight of Ukrainian football. Monzul, who is from the Kharkiv region, played football at an amateur level as a child. At the age of 18 she decided to direct her efforts toward officiating, following in the footsteps of her uncle, a former linesman in the UPL. Monzul began her career in 2002 in the youth levels of Ukrainian football, and two years later she was selected as a FIFA international referee. By 2005 she was officiating men’s matches in the third division and in September of that year was granted her international debut—a friendly between the women’s national teams of Finland and Poland. 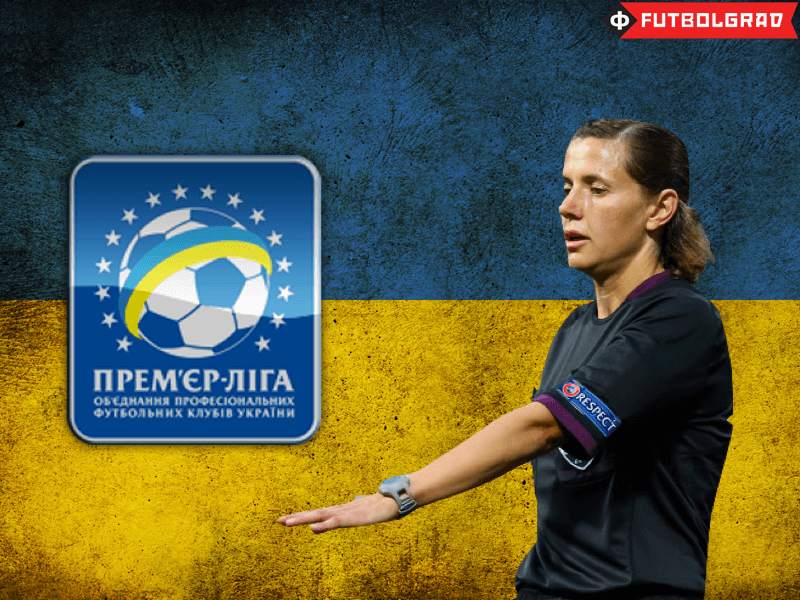 In 2009 Monzul was chosen as a referee for the UEFA Women’s European Championship, and in the same year the Football Federation of Ukraine addressed the issue of allowing her to officiate matches in the Persha Liha—the second division of Ukrainian football. Monzul had the backing of FFU Vice President Serhiy Storozhenko, but the head of the referee committee Vadym Shevchenko was opposed to the decision. The Executive Committee sided with Shevchenko. The criticism did not faze Monzul, whose rapid rise continued. In 2013 she was once again selected to officiate at the Women’s Euros in Sweden. She took charge of three matches at the tournament, including the semifinal between Norway and Denmark. The following year Monzul refereed the final of the Women’s Champions League Final with an all-Ukrainian officiating crew. 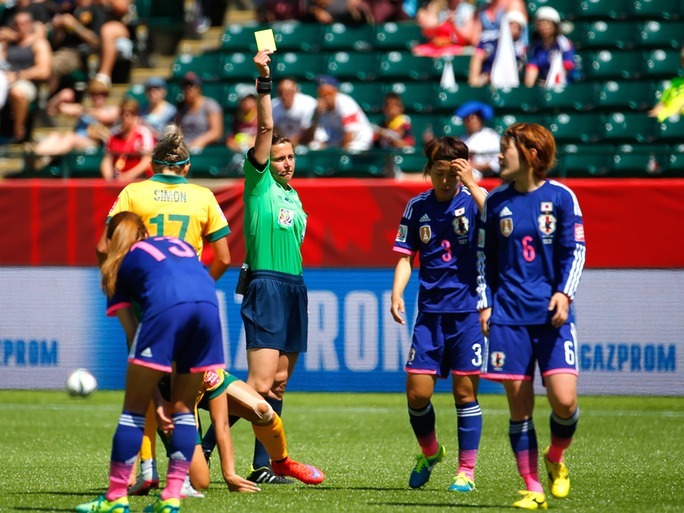 By this point in her career, Monzul was already widely considered one of the leading woman referees in the world, and at the 2015 Women’s World Cup in Canada she received the honor of officiating both the opening and final matches. At the end of the year the IFFHS overwhelmingly selected Monzul as the best female referee of 2015. And so, on April 3, Monzul became the first woman referee to lead the teams out in a Ukrainian Premier League encounter. Her performance was not without controversy—the second yellow card shown to Chornomorets captain Artem Filimonov was a harsh decision, and the corner on which Chornomorets opened the scoring should never have been given. Volyn Shabanov made similar remarks, acknowledging that Monzul made several errors but overall had a good match. While not an ideal debut, it certainly was a satisfactory one, and Monzul should continue to officiate matches in Ukraine’s top flight. Her dream is to take charge of the men’s Champions League Final one day. For now, however, she will have to be content with domestic football—Monzul has already made history. Absolutely fantastic and inspiring. To be honest, I am one of these “Football is a men’s game!” guys but I am truly impressed with what she has done. In today’s world, where many men or women claim undeserved spots for the sake of “equality”, she worked hard and totally earned her place. This is something you can only respect. I wish her the best of luck and see more of this. By the way, totally by luck, I saw the part Filimonov was red carded and I believe it was the right decision. Right after a clear yellow card, you just cannot run after your opponent and bring him down. While under a huge pressure, I believe she made the right decision. If not then, Filimonov would surely have to leave the pitch in next 15mins because he was obviously looking for trouble and playing very recklessly.